Best all terrain stroller and jogging pushchair in the UK for 2019 – Get Kids Outside! 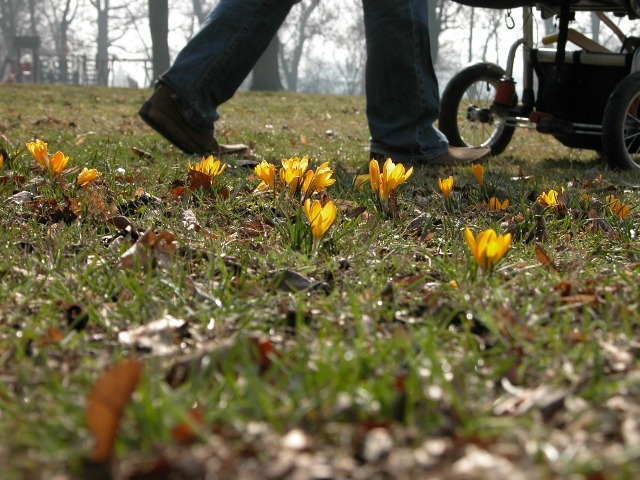 Getting yourself outside is often a big issue let alone the kids when you have a baby so if you’re hoping to get active more or just enjoy the countryside, getting the best all terrain stroller or jogging pushchair is going to be a big help. There’s nothing worse than struggling with your stroller when just hoping to go for a walk along the countryside and you can forget about jogging unless you have one that’s designed for the job! Scroll down for my reviews. If you’re looking to go jogging or walking out and about with your baby or toddler then getting an off road stroller that is designed for rough terrain is essential. You’ll want to bear a few things in mind when choosing the perfect pushchair. 3 wheeler designs are often the easiest to tackle rough terrain so you’ll often find these as running strollers. tyres – are they solid or pneumatic. Air filled tyres, like a bike, will make the ride smoother. how does it fold away – will it fit in your car boot or hallway easily? Does it come with accessories? A rain cover, foot muff, basket or pouch for keys and a tethering strap are good add ons. Does it have suspension? Again you’ll need this if running over rough ground. Does it suit your child for all ages? Can it lay flat for young babies? Most are pushchair shapes rather than prams – is this what you want? Although I think nowadays the words are fairly interchangeable. Price – there are some cheap options around but the top rated pushchairs are mostly in the mid range. My favourite and one of the best sellers is this pushchair from Baby Jogger. It’s a great design, comes in lots of colours and it’s really highly rated so I don’t think you can go wrong with this one. It’s definitely one of the best all terrain strollers out there and is also good for running too. What I like most about this one is that it can be used with a car seat. I know when my kids were babies, not disturbing them from car to buggy is a big thing. It’s the only one I’m reviewing that has the travel system capability. Also that it comes with almost everything you need to get out and running or walking with your baby. Cons of this pushchair is that the price can push up when you add any accessories like a foot muff. Having said that, there are an array of cool extras that you can get! Not that you absolutely need them of course! If you’re just after a buggy that will cope with all terrain then it’s also a really good buy that should get you rambling all over! This is a great all purpose push chair for all terrains and is good for jogging as well. comes in lots of different colours – black, blue, green, purple and red! There is a sport version which might be more suitable as a jogger than this one if that’s your sole requirement and you need a more robust one, but this one is still good. It’s also available as a all terrain double pushchair too! Check out this item on Amazon here. The Huack Viper SLX Jogger is what you need if you’re on a serious budget and looking to get outside and fit with your little one but with a cheap stroller. The price does reflect some of the things that it does lack though, but if you’re not sure how much you’ll like jogging with your baby it might be a good one to get started with. adjustable handlebar – good for smaller mums like me! Cons of this stroller is that it has solid wheels which although puncture proof aren’t going to be comfortable a ride for your baby. It’s also not the easiest to fold. Check the reviews and latest price on Amazon here. Finally, if you’re looking for an extremely high quality and high spec pushchair that you will get envious glances from others about then the Thule Glide Sports Stroller is for you. It is at the high end of the budget but it’s a great as a running buggy and also for off road walking too. Cons of this pushchair is that it doesn’t come with any additional extras like a rain cover and at the price it is you might begrudge spending more for the extras that you might need. Check the latest price on Amazon here. What is the best stunt scooter on a budget in 2019? What is the best Nerf gun ever for kids in 2019? 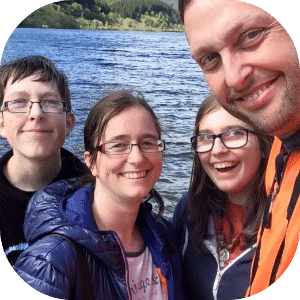 Kirsty is the mum of two kids and has spent the last 16 years on a quest to get them outside more, enjoying nature and the world around them. 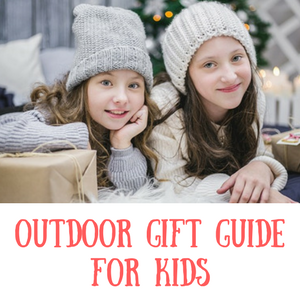 Welcome to Get Kids Outside! I'm Kirsty and throughout the past 17 (!) years I've been on a mission to get my kids outside and enjoying nature more. This website aims to give you ideas, inspiration and help combat the 'I'm bored' that will inevitably happen one day!